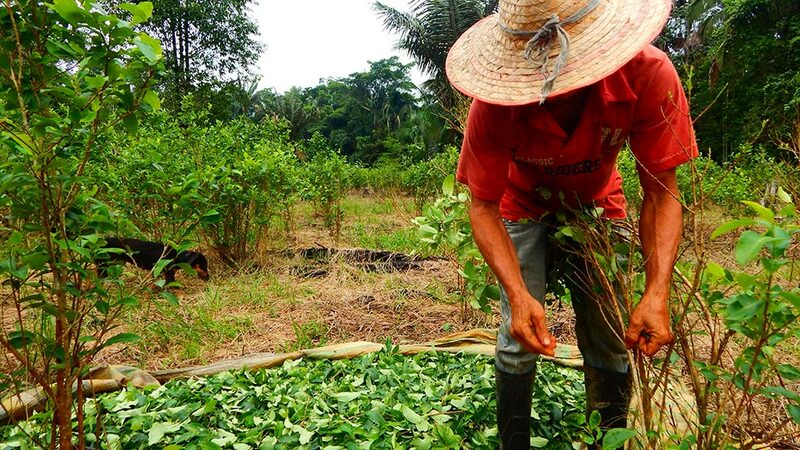 The production of coca crops in Colombia continues to rise dramatically, according to a report published on Thursday by the International Narcotics Control Board (INCB). While coca cultivation has dropped in Bolivia and Peru, cultivation of coca plants in Colombia has risen to 96,000 hectares in 2016–a 39% increase from 2014 and twice the area cultivated in 2013. This “sharp” increase, according to INCB, is primarily due to clauses in the peace deal signed late last year between the Colombian government and the FARC, the country’s largest guerrilla group. As part of the agreement, both sides agreed to work together to reduce coca production in the country and provide alternative crop initiatives for coca farmers. “Expectations surrounding negotiations on the peace process may have contributed to raising farmers’ hopes about the benefits of prospective alternative development programmes and acted as motivators for further illicit cultivation,” read the INCB report. It also noted that the government’s discontinuation of glyphosate spraying in 2015 also contributed to the increase in coca cultivation. South America remains the main cocaine producer and supplier to markets around the world. However, the region has also seen an increase in the personal consumption of the drug, rivaling consumption levels in North America, according to El Espectador newspaper. The INCB report warns that increase in drug usage is becoming more prevalent in Colombia and this is also a factor in the continued upsurge in production levels. Colombia, Argentina, and Chile are among the countries with the highest cocaine consumption rates in the region, which has an annual prevalence rate of 1.5%. However, the most widely consumed drug in South America continues to be cannabis (3.2%). The use of marijuana has also increased in the region, particularly in Uruguay, where consumption increased sixfold between 2001 and 2011. In 2013, under then-President Jose Mujica, the country also passed a law legalizing the drug’s recreational use, which has been criticized by the ICBN for violating the UN’s prohibitionist drug policies. Despite increases in drug production and consumption, Colombian President Juan Manuel Santos has been critical of UN drug policies, arguing in favor of a more “comprehensive approach”. In a 2016 he called for reforms of international drug control conventions and for a humanization, rather than criminalization of drug abusers.